When 5 month old twins, Chloe and Catie, and big brother Cole were taken to the hospital, doctors saw bruises, cuts, and scrapes. Chloe was rushed into ICU, and once stabilized, doctors discovered she had experienced severe head trauma, brain damage, and permanent vision loss. Detectives determined mom Crystal’s boyfriend hurt their children while she was at work. Estranged from her family, Crystal found herself alone when she and her children needed support more than ever. That’s when CASA volunteers John and Jenifer stepped in. 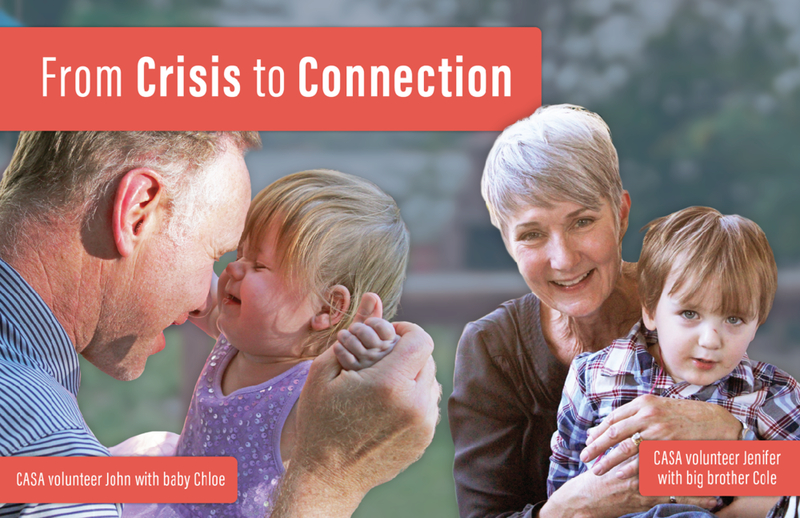 Together with CPS, John and Jenifer reached out to some of Crystal’s other family members to find support for the children. Initially some family members thought that due to Crystal’s young age and lack of support, the children would be better off staying with their foster family rather than going back to their mom. But CASAs John and Jenifer saw what many didn’t: a mother who could turn her life around for her children, if only she had the right support. With CASA’s help, a few supporting Crystal in the beginning grew to eleven a few months later. With family support and CASAs who believed she could do it, Crystal went above and beyond in completing CPS required services. She went to parenting classes and asked “what else can I take?” Crystal not only completed parenting classes and counseling, she got her own apartment, full time job, and embraced the family supporting her and her three young children. CASA was the catalyst in connecting the mom to family and keeping family members engaged during the long court case. Now that Crystal is a single-mom of three children, one with special needs, the support of her family continues to provide the best possible life for her and her children. P.S. When CASA spoke with her last, Crystal talked about bedtimes, packing lunches, and laying out clothes for Chloe, Catie, and Cole. After chaos and fear, they are all enjoying a routine as a reunited family. Yes to a child in need. Blake’s first confirmed case of abuse was the day he was born when his little body tested positive for drugs. At age 4, he was abused again before being adopted by a relative. Tragically, he continued to be abused and neglected and was eventually placed in foster care at age 15. For 11 years, this child endured the darkest pain, and as a teen, he was isolated and alone. With no clear sources of family support other than his teenage sister Erin, he was expected to age out of foster care unless someone intervened and spoke for him. That’s when he met his CASA volunteer, Steve. For Erin, her “worst fear was that he would get stuck in foster care.” Once she turned 21, she wanted to become Blake’s permanent home, but she didn’t know how to become an approved placement. This is where Steve stepped in. Steve helped Erin navigate the CPS system to bring Blake home, and his advocacy finally gave Blake hope for a brighter future. Thanks to the commitment of his CASA volunteer, Blake was able to move in with Erin the day after school was out this summer. 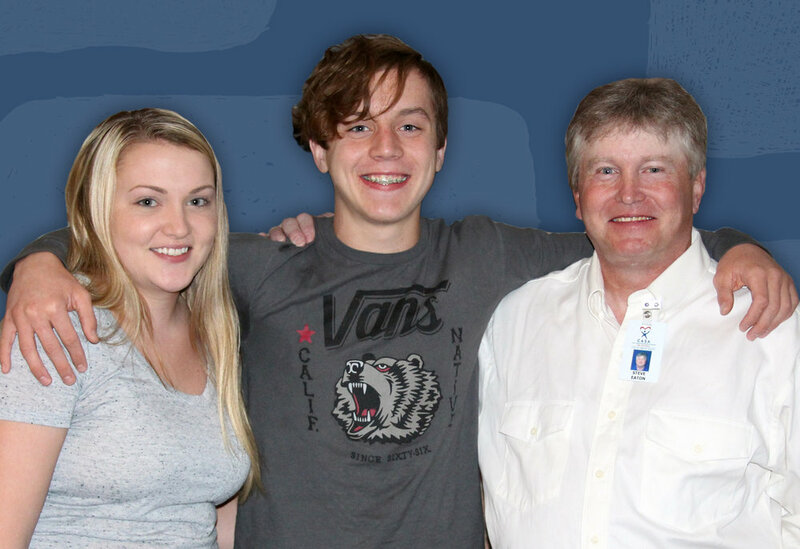 Your donation gives children like Blake the critical voice they need in foster care! GREW UP NEGLECTED. TOOK CARE OF HER YOUNGER SIBLINGS. Thanks to her CASA Karman and Caseworkers, Aurora and her siblings were reunited and adopted together! Thanks to his CASA Tricia, Bryan is now treasured by his new family and is progressing physically and developmentally! Two-year-old Mya was born prematurely and spent the first two months of her life in the NICU. She suffered brain damage, severe infections, and the threat of blindness before her first birthday. 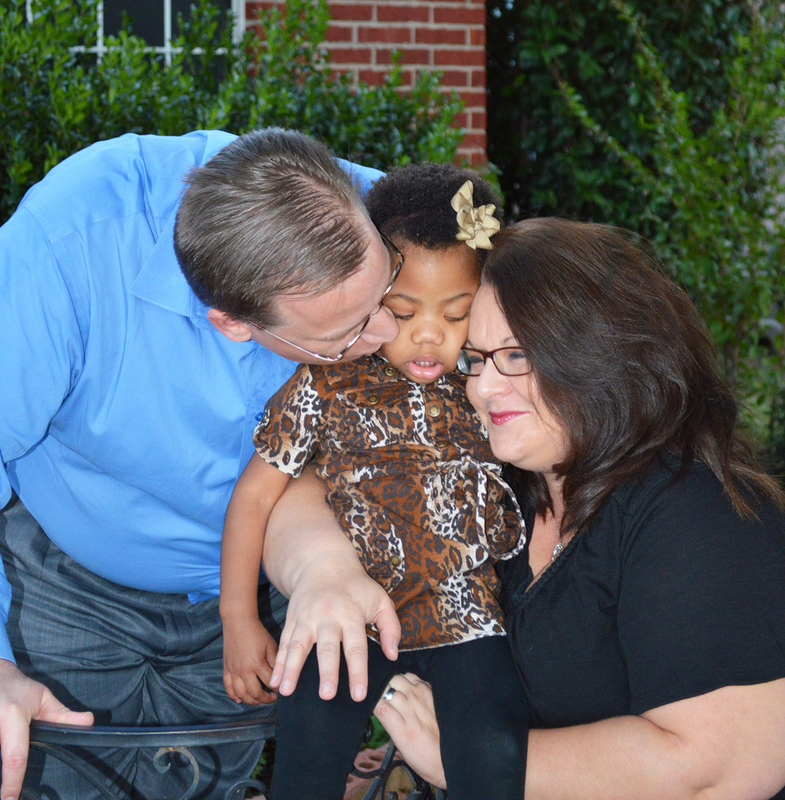 When she entered foster care at 13-months-old, Mya was unable to walk, speak or eat on her own. Her extensive medical needs required nearly full-time care. In the span of six months, she had been placed in three different foster homes. That’s where CASA came in. Elizabeth was a court-appointed Advocate whose singular goal was to make a recommendation to the judge as to the best place for Mya to live. Elizabeth worked tirelessly with Mya’s case workers, attorney, medical team, and foster parents to ensure all of her medical needs were met. She was the one consistent adult during that traumatic time. Elizabeth ultimately recommended to the court that Mya be adopted, and was thrilled to learn that Jenny and Matt Jennings would be Mya’s forever family. Every donation gives children like Mya the voice of a CASA volunteer while in foster care. During an uncertain time in their lives, you can give them the gift of hope in the form of a consistent, caring adult. P.S. With regular medical treatment, Mya is thriving. Her parents proudly report she can now walk without assistance, say a few words, and sign to communicate! In foster care by age four. Little Kai endured years of abuse at the hands of his mother’s boyfriends. He suffered from post-traumatic stress disorder before he even started Pre-K. By the time he entered foster care, his exposure to a lifetime of violence made him timid, withdrawn, and fearful. That’s when CASA volunteer Diane stepped in! Diane served as Kai’s CASA volunteer for the length of his case. She worked tirelessly with his case workers, attorney, therapists, biological family, and foster family. She visited Kai 27 times. During a trial that lasted over a week, Diane was a critical voice for Kai’s best interests and provided key testimony to help the judge make the most informed decision. She was a constant in his life, giving him a voice when he needed one the most. His case was complex, and Kai was not able to be adopted until all appeals had been exhausted. 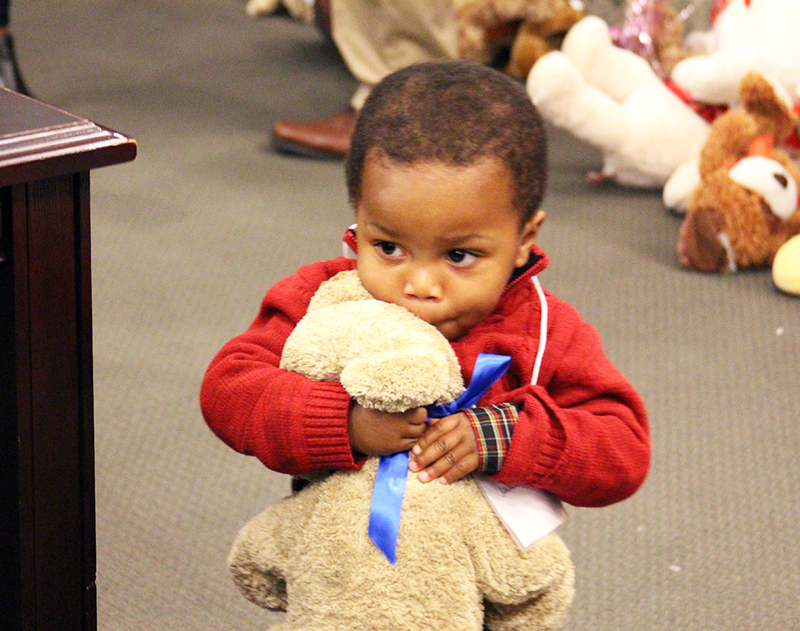 The Appeals Court ultimately decided to uphold the judge’s ruling—Kai was allowed to be adopted! The court appreciated Diane’s extensive interaction with him and cited her strong credibility as a witness. Her advocacy truly changed the course of his life. Your donation gives children like Kai the critical voice they need while in foster care! P.S. Kai is now thriving in a loving home full of siblings and laughter. His PTSD symptoms have improved, he excels in school, and he loves Superheroes, especially Spiderman!